Exclusive to the WAKE models. Enjoy a higher tow point thanks to the quick install retractable ski pylon that stows away when not in use. Features spotter handgrips and rope storage. 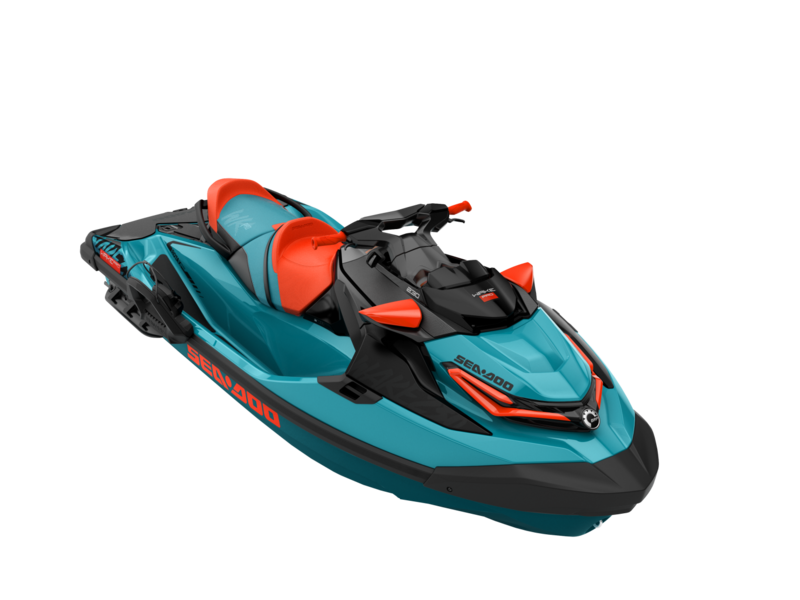 WAKE PACKAGE Enjoying tow sports from your Sea-Doo has never been easier thanks to three exclusive features including the Retractable Ski Pylon, Ski Mode, and Wake board Rack. 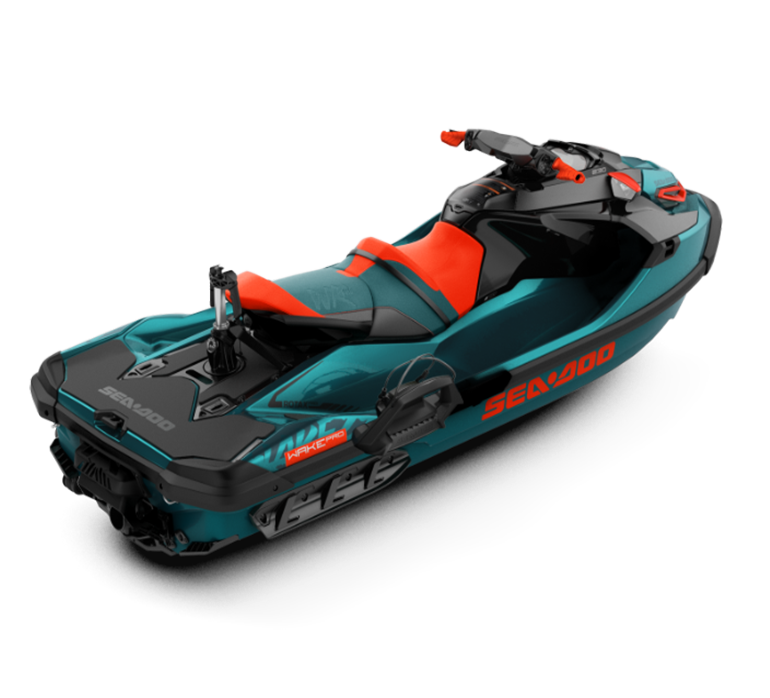 INTELLIGENT THROTTLE CONTROL WITH SKI MODE This exclusive feature allows riders to select reprogrammed acceleration and speed profiles for repeated and precisely controlled ski and wake board launches, plus the benefit of 3 other riding modes (touring, sport and ECO). LARGE SWIM PLATFORM The first watercraft to hang out on the water with the largest swim platform in the industry. Flat, stable and comfortable, it is ideal for re-boarding, lounging, and prepping for tow sports. Create even more space by removing the rear seat. REBOARDING LADDER Makes it easy to get back on the watercraft after having fun in the water. Features a fold-down design. ST³ HULL Whether you’re at high speeds pounding rough offshore waters, at rest hanging out in a cove or you’re simply boarding from the side, the wider hull offers industry leading stability thanks to a lower center of gravity and improved hull design. ROTAX 1500 HO ACE ENGINE Equipped with Advanced Combustion Efficiency (ACE) technology, a new generation of proven, super-charged Rotax power has arrived. Optimized for regular fuel, this engine is faster and more powerful than its predecessor, but is just as fuel efficient. 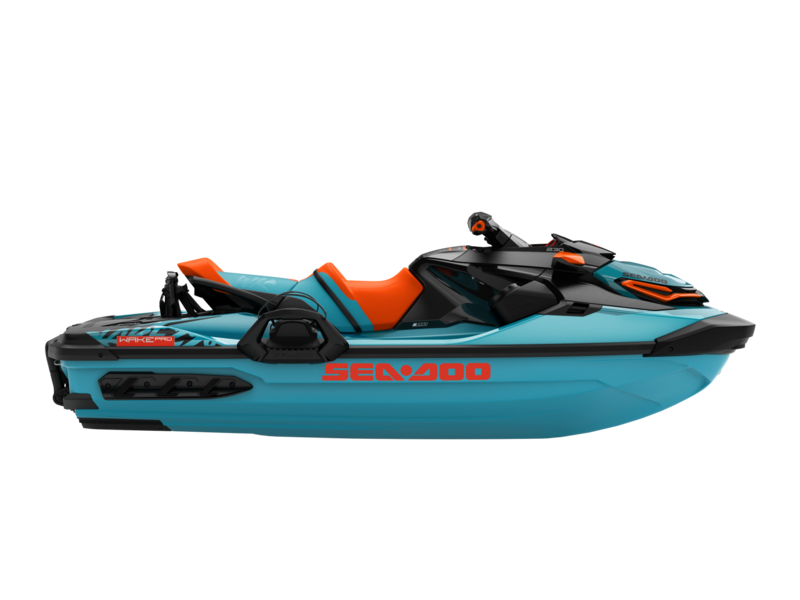 INTELLIGENT BRAKE AND REVERSE (iBR) Recognised by the U.S. Coast Guard for improving boat safety since 2009 and now in its third generation, the Sea-Doo exclusive iBR (Intelligent Brake and Reverse) system allows you to stop up to 160 feet (48 m)* sooner than watercraft not using a brake. With both hands on the handlebars, riders can engage forward, neutral, and reverse for stable, worry-free maneuvering at low speeds. * Based on BRP internal testing.